LEGO Creator set usually come with building instructions 3 alternative models. 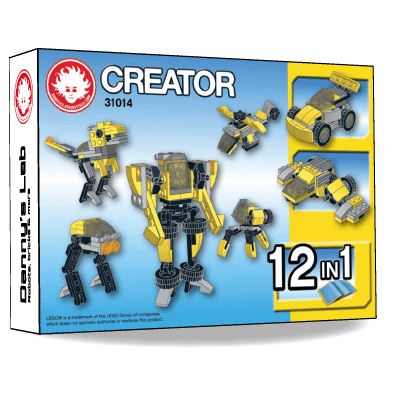 The LEGO Creator set 31014 has a huge potential, that just waits to be unleashed! You can find a lot of alternative models for LEGO Creator sets on the web, but they are usually documented just with LEGO Digital Designer, and lack of proper and clear step-by-step directions. By clicking the button below, you will get high quality building instructions, clear and detailed as the LEGO official ones. The PDF document you’ll get includes high quality building instructions for 12 original LEGO models, buildable with the parts from LEGO Creator set 31014 only. The building steps are detailed and clear, and feature arrows that show exploded views of the assemblies.